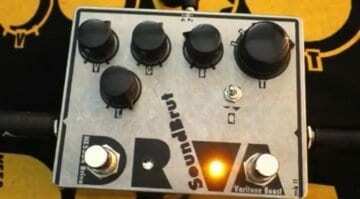 Gervana Ding Mao boost/overdrive pedal: The boutique bargain of the year? 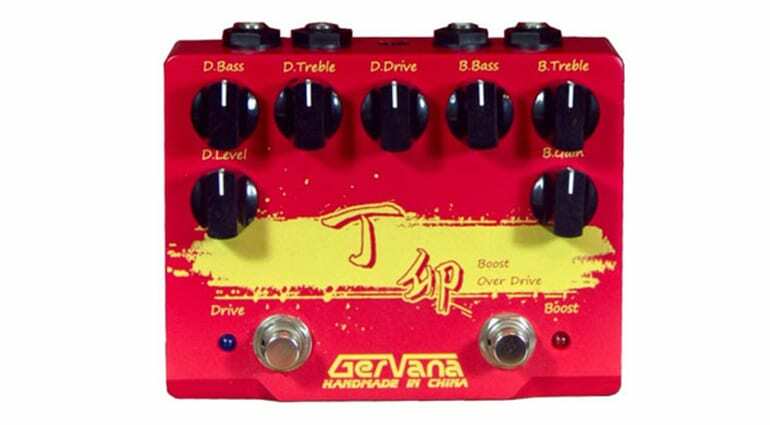 Chinese pedal maker Gervana has a pedal, the Ding Mao pedal dual boost/overdrive. Branded as “handmade in China”, the aim here is give you boutique build standards at highly affordable price tag. So much for the marketing. 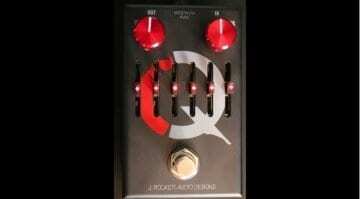 But this pedal also seems to provide a lot of options for guitarists looking for a flexible drive pedal. The Ding Mao effect is two pedals in one. 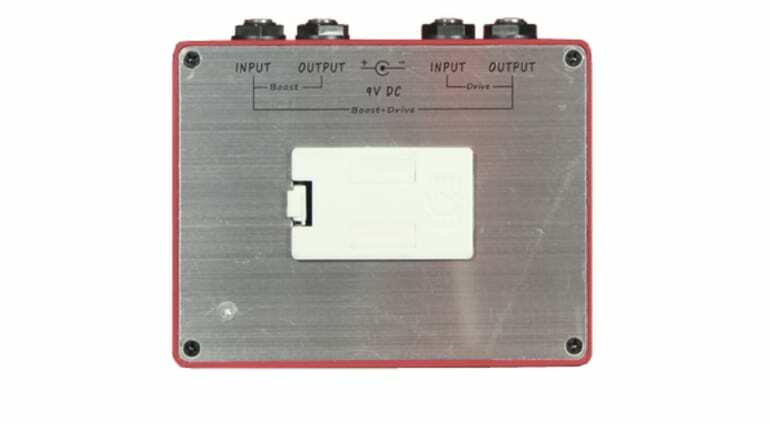 The Boost and Overdrive sections even have separate input and output sections, one for each side. That lets you use the two circuits in whichever order you prefer. 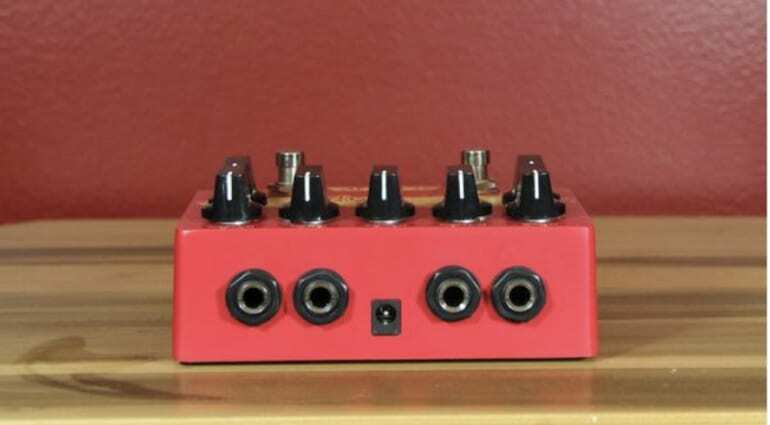 The boost stage is a JFET-based affair which tries to emulate the way that preamp tubes would work in a valve amp head and gives up to 20dB of clean boost. You can dial in extra Bass or Treble if you need to tailor it for your amp/guitar setup using the appropriately named B.Bass and B.Treble controls. I like the fact that this combines two separate effects that you can wire up in your preferred order. 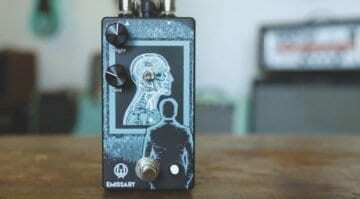 This, in my opinion, makes it a lot more flexible than many other pedals in a similar price bracket. Check out the brief video demo below or head on over to their website for more information. You can run the Ding Mao from either a 9-Volt battery or an external power supply. I look forward to hearing some user reviews in the coming months. Could be a the year’s best boutique bargain? 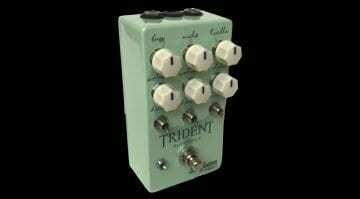 Seafoam Pedals Trident Overdrive: A new take on the drive/EQ pedal?